The portal whose older exports should be exported can be selected. Displays the number of portal exports without errors. 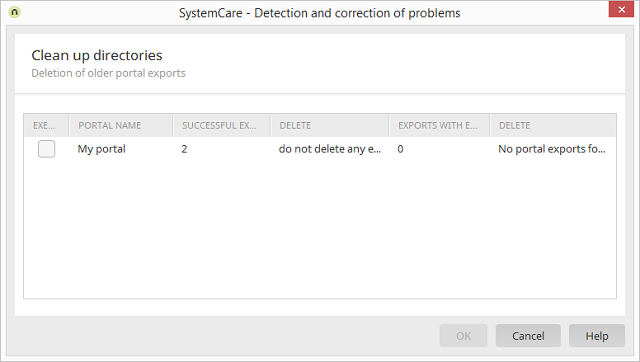 Displays the number of portal exports with errors. Displays whether deletable exports are available.